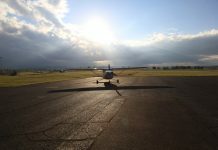 As winter comes round again, Flight Safety Australia, looks back at an article from 2011 that still rings true—if you have cold, stay on the ground. ‘It’s just a cold, I’ll be fine’ are words no pilot should ever utter. 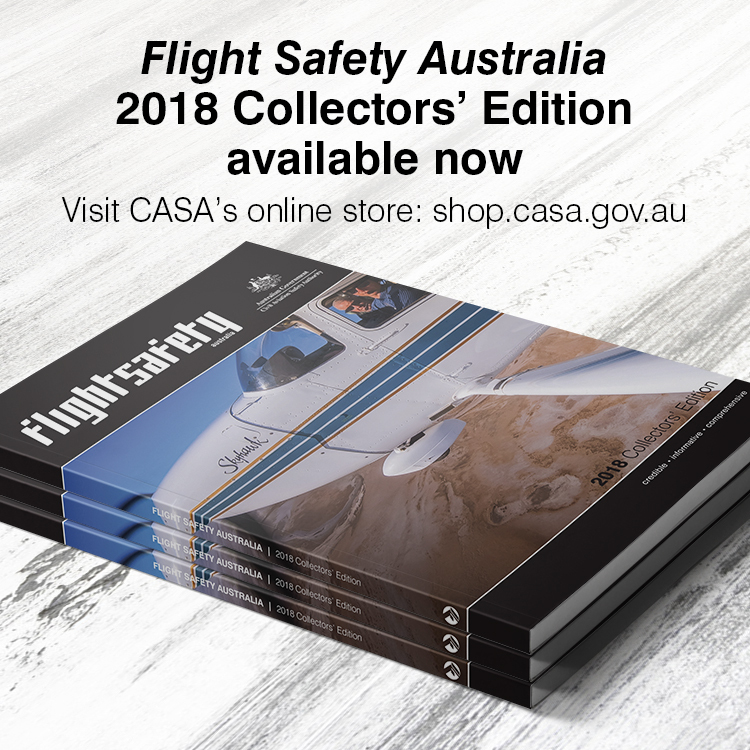 Take a pill, relax and read Flight Safety Australia, call in sick, but do not fly if you have a head cold, says CASA medical officer, Michael Drane. Having a cold is no fun. Being on the ground on a day when you planned to go flying is also no fun, but combining a cold and flying is the worst of all possible worlds. Flying while suffering from a cold is a great way of achieving that unhappy ‘Up there wishing I was down here’ feeling that pilots, crew (including cabin crew) and passengers alike seek to avoid. Take off with a headache, fever, chills and blocked nose and/or ears and they could become the least of your problems. A cold can lead to dulled concentration, intense pain, and spatial disorientation, any one of which can cause you to crash your aircraft. A cold is a viral infection caused by a wide variety of viruses. The incubation period varies from one day to several weeks. The most common ways of sharing cold viruses are by touch (so wash your hands regularly) and sneezing (so cover your mouth). Early symptoms are usually tiredness and irritability along with a tickly, scratchy throat, blocked or runny nose, and a mild headache. The runny nose usually gets worse over several days before suddenly resolving. The release of rapidly-multiplying virus particles into the body as host cells rupture is called the viraemic phase and is what causes the headaches, lethargy, and general feeling of sickness that we associate with a cold. It is often accompanied by sneezing, but fever is unusual with a common cold. 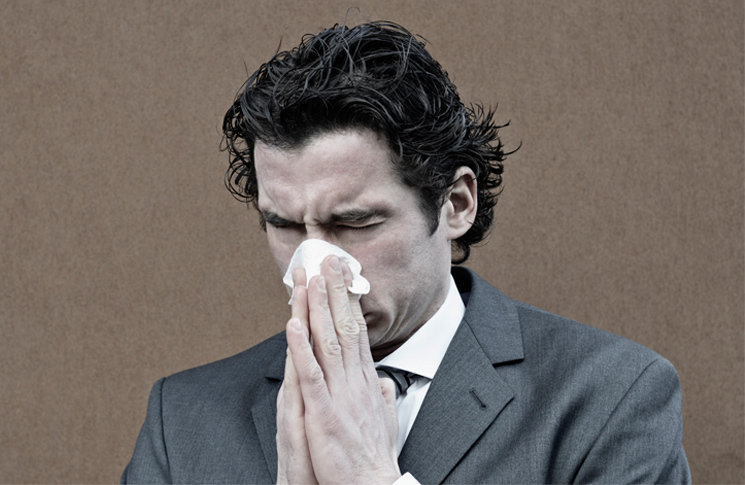 Colds impair performance more than most people realise. They may even lead to severe infections in the ears, sinuses or chest, all of which can be incapacitating if people continue to fly. Many other viruses cause symptoms similar to those of the common cold. These can also be more severe than a cold and can extend to a harsh cough, fever, sore throat, or pneumonia. About two per cent of cold sufferers will also develop bronchitis and have a cough that produces phlegm. Less dramatic, but equally unpleasant and dangerous in their own way, are the overflow of viruses into the bloodstream and the swelling of nose and throat tissues that are the main features of a cold. Feeling tired and unwell is incompatible with flying competently. Your decision- making abilities are impaired and may be insufficient at a critical moment. You do not want to discover this in mid air. As the tissues lining your nose swell, your sinuses and the fine Eustachian tubes that link your nose to your ears become narrower and may close over. When your Eustachian tubes close it becomes impossible to equalise the pressure in your ears and sinuses. This is a major problem if you are flying, even as a passenger. The unequal pressures in your head cause pain and tissue damage, described in aviation medicine as ‘barotrauma’. Those who have endured it describe the pain as being crippling enough to utterly distract a pilot from the task of flying. 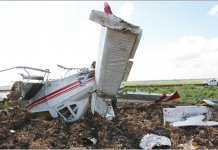 Pilots who have risked flying and suffered the consequences say they would never do it again, not least because subsequent recovery can take weeks. Barotraumatic tissue damage can include bleeding into the eardrums, rupture of the eardrums or saturation of a sinus with blood – do you still want to tough it out and take off? There are also many anecdotes of pilots reporting spatial disorientation when flying with a fuzzy head. No aviator should need to be reminded about how deadly this condition can be. A Danish study of 948 commercial pilots revealed how easily barotrauma takes aviators by surprise. 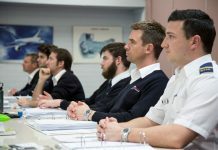 About one third of respondents reported one or more episodes of ear barotrauma in their flying careers, but of those less than two per cent had felt incapacitated before the flight. Your only choice when you have a cold is to follow your mum’s advice and get plenty of rest – on the ground. There is no cure for the common cold, so your immune system is all you have to battle the virus. You keep your immune system strong with a balanced diet rich in fresh fruits and vegetables, and by having adequate rest. Large doses of vitamins or mineral supplements are not a substitute for these. Your mum was right: you have to look after yourself. Do not ask your doctor for antibiotics if you have a cold. Colds are caused by viruses, which are unaffected by antibiotics. Antibiotics are only of value if a cold leads to a secondary bacterial infection. Medication can relieve the symptoms of a cold but not cure it. The cold keeps on brewing, even when its symptoms are masked. Aspirin or Paracetamol can help to relieve a headache or sore throat and may settle a mild fever. Decongestants will reduce some of the swelling of the nasal lining tissues and may make it easier to equalise pressure in the ears or sinuses. Allergy to plant pollens, known as hay fever, can produce similar symptoms to a cold. The cause doesn’t matter. If your ears are blocked and you are feeling blunt and stupid, it is not a day for flying, no matter how blue the sky. Hay fever can usually be treated with antihistamines or decongestants, but antihistamines can cause drowsiness, which is a ground for grounding in itself. Finally, there’s a particularly dangerous condition that can sometimes – but rarely, it must be said – be precipitated by a viral infection, such as a heavy cold or flu. It is myocarditis, an inflammation of the heart muscle, with symptoms varying from none to chest pain, heart failure and sudden death. Myocarditis was implicated, although not proved as a contributing factor, in a 1991 helicopter crash on Queensland’s Gold Coast that killed seven people. An autopsy discovered its signs in the body of the 27-year-old pilot. The helicopter crashed after entering a vertical climb and falling backwards. It broke up as the main rotor sliced into the tail boom. The Bureau of Air Safety Investigation report found the pilot was ‘sensible and mature’ and considered it unlikely he would have attempted the climb as a stunt. ‘It is possible that the vertical manoeuvre was initiated by the pilot losing control due to an incapacitating event. The lack of change in the helicopter’s attitude during its final moments is also consistent with pilot incapacity,’ it found. The pilot had no symptoms other than ‘an uncharacteristic need for additional sleep in the last three weeks of his life’, the report noted. ‘Fatigue is a symptom of myocarditis’, it added. Myocarditis is a very rare complication of a common cold but the point remains valid. A cold may be trivial on the ground but can be fatal in an aircraft.